That means no matter the brand, make, or model of the lawn mower you use, and love, we'll have the perfect part you've been seeking. We'll also get your lawn mower parts at the lowest possible price, offering all of our mower parts wholesale. Don't pay more when you don't have to. It's easy to get started by either finding your mower brand or the brand of aftermarket part you're search for. You can even search by part number or look up the right part with our help. Don't hesitate to get in touch with us if you have questions or need any type of assistance. Give us a call at 800.937.7279 and we'll get you started with the lawn mower parts you need today. Everyone loves getting a discount and RCPW is happy to provide discount replacement parts to keep your mower running and your wallet full. For over 35 years, we've been providing quality replacement parts and excellent service to our local and internet customers both at our local store and worldwide through intenet sales. 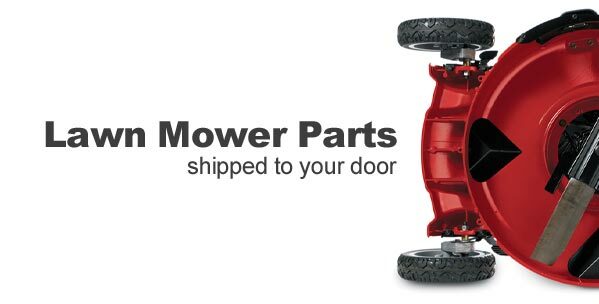 Shop the best selection of lawn mower parts at RCPW. Can't find the parts you need? Give our friendly staff a call at 800-937-7279, send us an email at orders@rcpw.com or look up your parts using our free exploded diagrams.